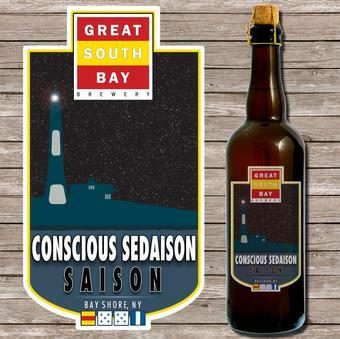 Great South Bay Brewery announces the limited edition bottle release of new Belgian-style farmhouse saison, Conscious Sedaison, which debuted at the 7th Annual Blue Point Cask Ales Festival on 5/9. Only 50 750 ml, corked, caged and numbered bottles of the 7% ABV Belgian-style saison were released and, as of right now, around 30 remain. Must be 21+ to purchase. Limit one bottle per person.